This architecturally inspired ring is spectacular from every angle! The intricate design elements fashioned in platinum and 18 Karat yellow gold add drama and elegance. 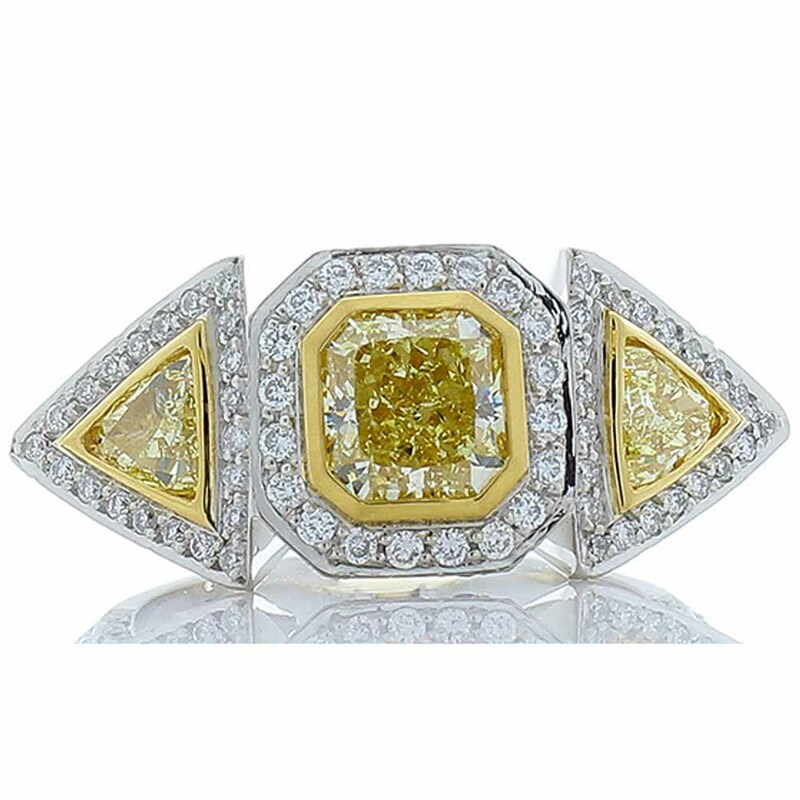 The illuminating 1.21 Carat square-radiant intense yellow diamond center makes people sit up and take notice, as do its 0.40 carat total weight of perfectly matched yellow trilliant diamonds! The yellow diamonds are expertly enhanced by 1.00 carat total weight of glimmering E VVS white diamond halos. This ring is as bold and unique as you are!